Russia’s President Vladimir Putin has strongly urged the EU to help rebuild Syria. Speaking after Wednesday’s talks with Austrian Chancellor Sebastian Kurz in St. Petersburg, Putin called for international assistance on reconstruction efforts, arguing that it would encourage refugees to return to their homes. Around half of Syria’s pre-war population of 23 million has been uprooted — nearly 6 million fled abroad, while 6.6 million are displaced within Syria — and entire cities lay in ruins. 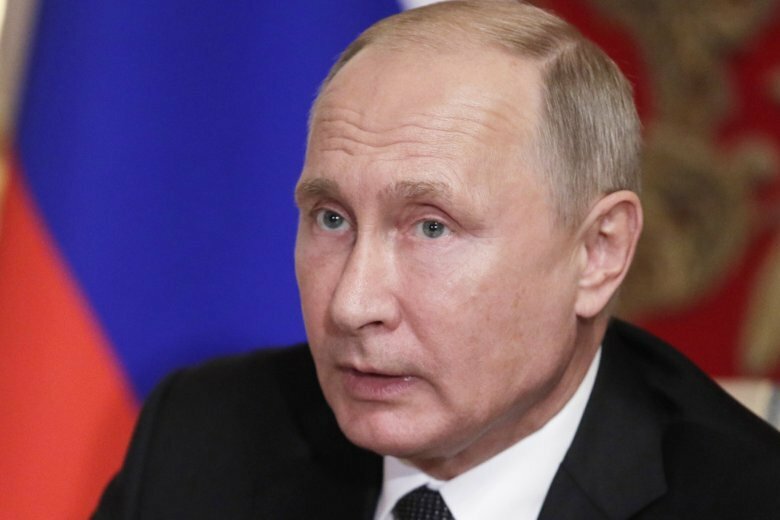 Russia’s President Vladimir Putin says a deal with Turkey to set up a demilitarized zone in Syria’s Idlib province is being successfully implemented, making any large-scale military operations unnecessary. The Turkey-Russia deal reached last month calls for the removal of all members of Syrian radical groups and heavy weapons from a demilitarized zone in Idlib to be established by Oct. 15. That zone will be 15-20 kilometers (9-12 miles) deep, with troops from Russia and NATO-member Turkey conducting joint patrols. Putin, speaking Wednesday after talks with Austrian Chancellor Sebastian Kurz in St. Petersburg, said the deal is being successfully enforced with Turkey persuading the radical groups to leave the area. He added that the successful implementation of the deal means that “there will be no large-scale combat action. President Vladimir Putin says Russian troops will leave Syria when the war is over if the Syrian government asks them to. Russia entered the Syrian civil war in 2015 to back its longtime ally President Bashar Assad, helping the government retake most of the territory held by rebels. Russia currently operates an air base and a naval base in Syria. The Kremlin has criticized U.S. military involvement in Syria, saying it is not authorized by the United Nations or by the Syrian government. Speaking at an energy conference in Moscow, Putin said that all foreign troops should leave Syria when hostilities cease. Asked if Russia would be willing to leave as well, Putin said Russia would withdraw its troops if the Syrian government asks it to. President Bashar Assad has told a little-known Kuwaiti newspaper that Syria has reached a “major understanding” with other Arab states after years of hostility over the country’s civil war. The interview in the Al-Shahed newspaper, published Wednesday, was Assad’s first with a Gulf newspaper since the war began in 2011. Syria’s membership in the 22-member Arab League was suspended in the early days of the war, and Arab countries later imposed economic sanctions.